August 19, 2016 – An ESA tracking station has acquired signals from the international Cassini spacecraft orbiting Saturn, across more than 1.4 billion km of space. Following a seven-year journey to Saturn, the NASA/ESA/ASI Cassini orbiter delivered Europe’s Huygens probe to the surface of Saturn’s mysterious moon Titan in January 2005, just a few months after becoming the first spacecraft to enter orbit around the giant gas planet. Since then, Cassini and Huygens have returned a wealth of information on the Saturnian system to the global scientific community, helping scientists understand the massive planet, its multiple moons and its hauntingly beautiful system of rings. Starting later this year, the mission will begin its final phase and ESA’s deep-space tracking stations will be called in to help gather crucial radio science data. 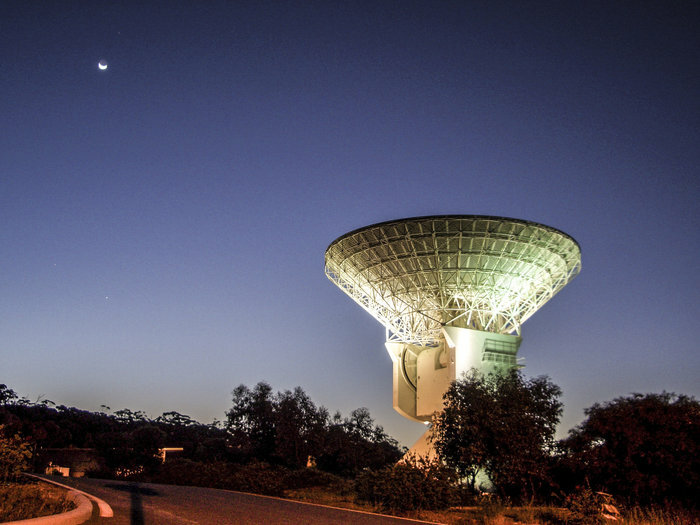 In an initial test on August 10, ESA’s tracking station at New Norcia, Western Australia, hosting a 35 m-diameter, 630-ton deep-space antenna, received signals transmitted by Cassini through 1.44 billion km of space. Some types of radio science observations use a ground station to detect signals transmitted from a spacecraft that have reflected off a planet or moon’s surface, or passed through the various layers of its atmosphere – or, in the case of Saturn, its rings. Effects on the signals provide valuable information on the composition, state and structure of whatever they have passed through. Numerous missions, including ESA’s Venus Express and Mars Express, have used this technique in the past. All three of ESA’s deep-space tracking stations (New Norcia in Australia, Cebreros in Spain and Malargüe in Argentina) were specifically designed to enable a radio science capability. The Cassini mission has performed radio science observations many times during its time at Saturn. Previously, the mission relied solely on the antennas of NASA’s Deep Space Network for these observations. 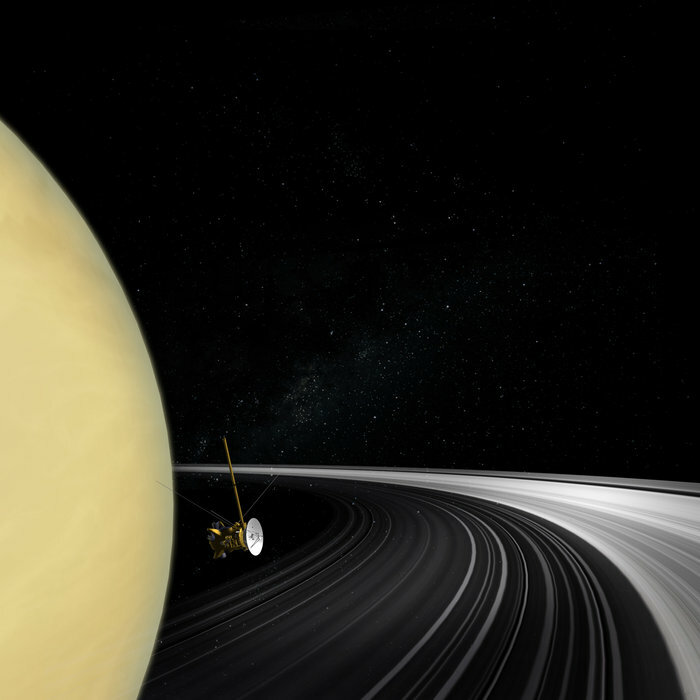 Now, the addition of ESA tracking capability will help provide the continuous radio contact needed during Cassini radio science activities. The data received by ESA will be delivered to NASA for subsequent scientific analysis. 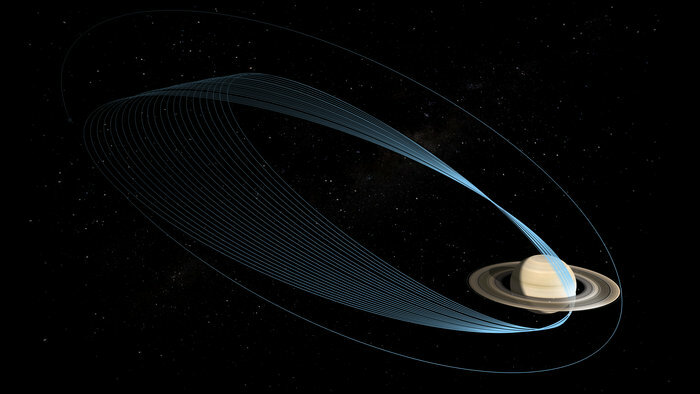 Starting in December and running into July 2017, Cassini will conduct a daring series of orbits in which the spacecraft will repeatedly climb high above Saturn’s poles, initially passing just outside its narrow F ring, and then diving between the uppermost atmosphere and the innermost ring. When Cassini plunges past Saturn, an ESA station will listen and record radio signals that will be relayed to NASA. These data will provide detailed maps of Saturn’s gravity, revealing the planet’s inner composition and possibly helping solve the mystery of just how fast the interior is rotating. They will also help scientists study the rings. Until December, a half-dozen more test passes using ESA’s New Norcia and Malargüe stations to receive Cassini signals are planned, after which the two will be used during some two-dozen Grand Finale orbits. The support is particularly challenging, as listening passes can last up to 30 hours, during which reception will be handed over multiple times between the two ESA stations and NASA’s Canberra deep-space communication complex in Australia; NASA’s Madrid complex will also take part. 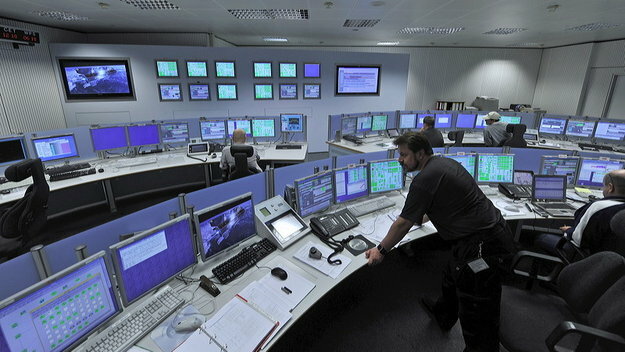 “We need uninterrupted signal reception to optimise the Cassini radio science data, so the ESA and NASA stations really have to work in close coordination for recording and handover,” said Manfred Lugert, responsible for ESA’s Estrack ground station network. Due to geometry, the two ESA stations – located in the southern hemisphere – are ideally able to support Cassini radio science. Northern/southern hemispheric coverage was one factor taken into account when ESA built its station in Argentina in 2012.